Perhaps for the very first time, the hyperbole from the Chinese tourist brochure that surrounds Hangzhou and its infamous West Lake is justified in its over-the-top accolades. As they say around these parts: "Above is Paradise, below is Hangzhou." The city itself is pleasant in its own right, but is transformed into one of China's top destinations by the gorgeous West Lake and its fabulous green environs. 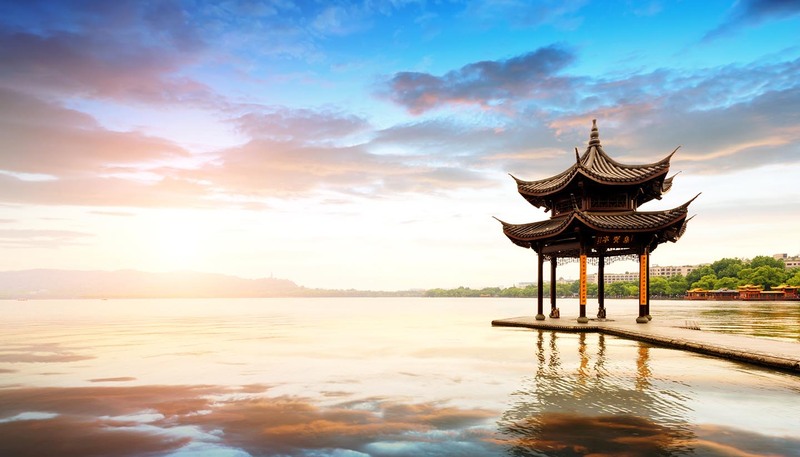 The very definition of classical beauty in China, West Lake has inspired generations of writers, painters and poets throughout Chinese history. Created from a river lagoon in the 8th century, it still mesmerises tourists and today (methodical prettification working its cunning magic too). Hazy hills rise above the willow-lined banks, forming crinkled silhouettes that are punctuated by solitary pagodas. Tiny boats float lazily by. Its landscapes are quintessentially Chinese, and there’s more than enough walking, cycling and green spaces to keep everyone leisurely occupied. You’ll need roughly three days to fully savour what’s on offer but the inclination is to join the lilting willows in taking root and staying put. Be warned, though: Hangzhou is one of the country’s most famous tourist attractions. Droves descend from all over China to digitally capture West Lake, especially on holidays and weekends in the summer. This results in a blight of overpriced, fully booked hotels and chattering tour groups. But don’t despair, the area is large enough to absorb the swell and still leave pockets of tranquillity. Hangzhou is one of China's most famous tea-growing centres and tours can be made to nearby Longjing Village, which bestowed the name for the city's most famous export: Longjing tea, the best-known and one of the most-loved green tea in China. The surrounding hills also house China's only tea museum. For centuries Hangzhou has been a cultural melting pot, so it offers museums, galleries and theatres too, showcasing everything from silk making to calligraphy. Modern influences also abound: chic cafés skirt the lakeshore, foreign brands fill the shopping centres and western-style bars serve drinks long into the night. But despite these touches of modernity, Hangzhou still offers China in all its authenticity.